Every effort will be made to ensure that the information contained on this website is fairly presented and accurate. However, this cannot be guaranteed since many contributions are provided by third parties. Combinedops.com, does not necessarily endorse the views or opinions expressed by third parties. Where links are provided to other web sites, combinedops.com shall not be held responsible or liable for any loss or damage caused, or alleged to have been caused, by the use of such sites. The user agrees that the use of, or reliance upon, any information contained in this site, or any linked site, will be entirely at his/her own risk. 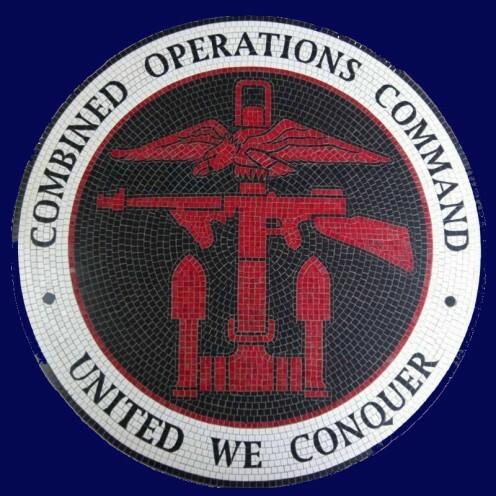 www.combinedops.com reserves the right, at its absolute discretion, to publish, edit, refuse, monitor or delete, any material posted on the website. Appropriate respect and consideration for other users should be shown at all times. In posting messages to the Notice Board, you agree to show appropriate respect for others who have posted messages. You may challenge the opinions of others if you disagree with them, but you must refrain from personal attacks on them. You undertake not to use the combinedops.com site for illegal purposes or for the transmission of material that is unlawful, untrue, malicious, defamatory, offensive, harassing, invasive of another's privacy, abusive, threatening, harmful, vulgar or otherwise objectionable. We will do our best to ascertain the copyright of all material used on the site, but with the passage of time this may be difficult, if not impossible in some cases. If we inadvertently infringe any copyright, we will post the appropriate acknowledgement and/or remove the offending item from the site immediately it is drawn to our attention. All material on this site is covered by Copyright law in the name of Geoff Slee, www.combinedops.com. A separate note on Copyright has been added to certain pages, contributed by others. Please contact us if you'd like to use material from this website. No personal information is gathered or held on individuals visiting this website, ever. The website does not use "cookies" so the only footprint you leave behind is an anonymous statistical one for the purposes of monitoring usage as an aid to improving website content and presentation. When you choose to contact us through the website, the information you supply, including your e-mail address, will not be published or passed to any third parties without your prior consent. Where it is published, it will be hidden behind an icon to put it out of reach of e-mail harvesting software. By giving us your e-mail address, you agree to receiving occasional e-mails from us where, for example, we believe you may be able to help others in their search for information about Combined Operations or to allow us to tell you about significant events likely to be of interest to you. In the exceptional circumstance that bulk emails are used, they will be sent under ‘blind copy’ to undisclosed recipients. You can opt out of these arrangements at any time and/or have your contact details expunged from our records, by writing to us.